Issued May 10, 1994, to Nintendo Co. Ltd. 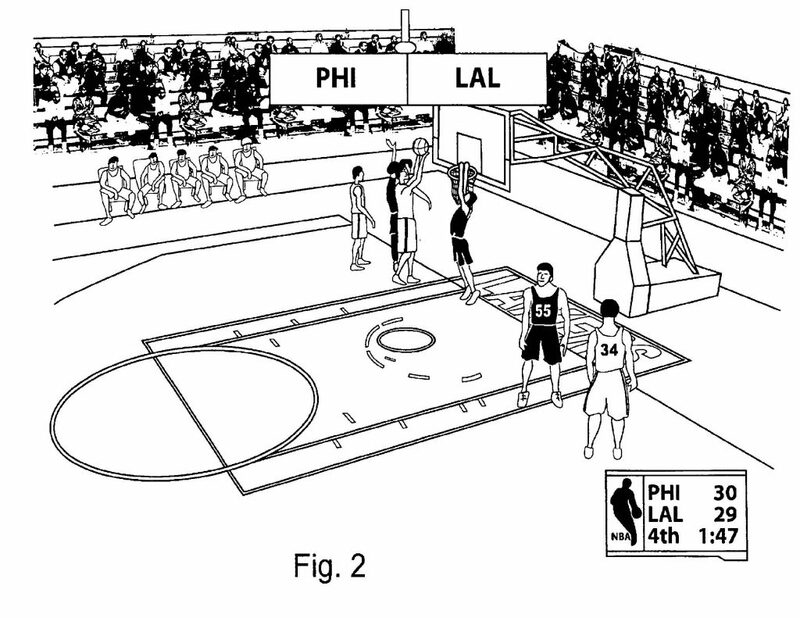 The ‘192 patent describes a shooting game system for shooting targets. The system uses a controller for shooting which features a scope and a trigger. A photoelectric converter converts light which shot an electric signal towards the television, thus allowing a player to shoot a target on the screen. Whenever a player hits a target, the target is changed and reacted in whatever way it was designed to do after being struck. This is one of the older “light gun” patents around. A video game set (1) displays a sighting mark on a television receiver (4). A player shoots this sighting mark by a shooting scope (5). At this time, the shift between a coordinate position of the sighting mark and a coordinate position which is shot is operated by the video game set (1) and is stored as a correction value. 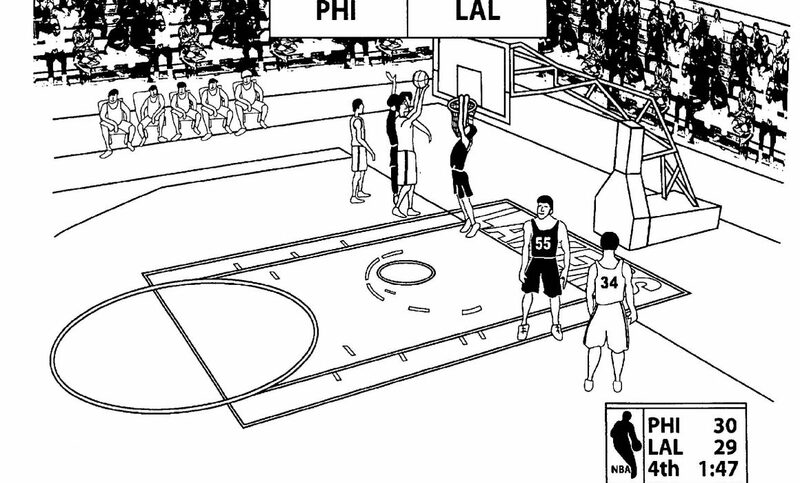 When the player shoots a target in a game mode, the coordinate position which is shot is corrected on the basis of the correction value stored in the video game set (1). hit judging means for making a hit determination in a case where said target is shot by said shooting scope on the basis of said relative positional relationship after being corrected by said correcting means. Issued on January 31, 2006, to Electronic Arts Inc.
Summary: This patent issued to EA, discloses a system and method for providing real-time control over character animation. 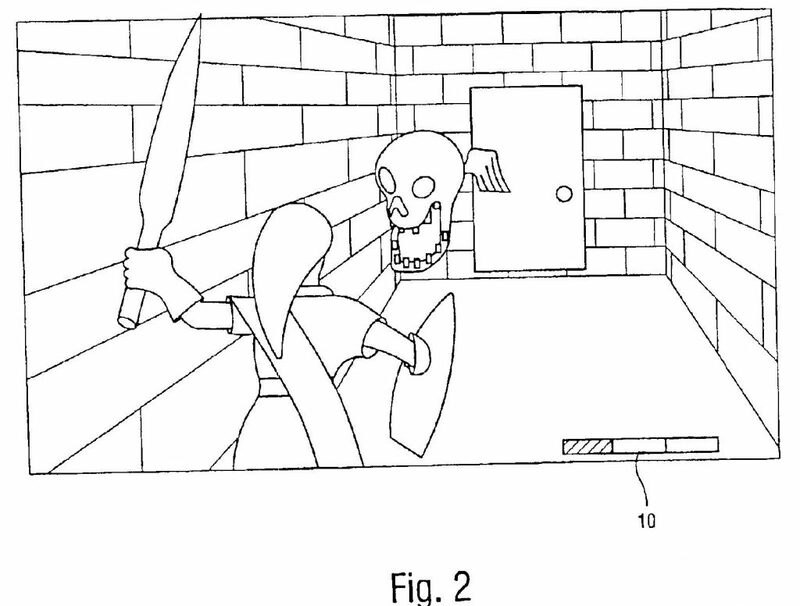 Basically this patent allows the user to change a character’s animation by real-time input into a joystick. For example in a golf game, the user can control the back swing, forward swing, the power or speed of the swing, whether the ball is hooked, sliced or straight, or whether or not the character takes a practice swing. The input from the joystick is monitored real time by a processor which converts motions in the joystick, such as pulling the joystick handle backwards into a back swing. Since the input is detected real-time, the user is able to change the animation continuously, i.e. the user can change the golf swing in the middle of the back swing, which might not improve your score. Exemplary Claim: A system for providing user input for animated character display on an animation display system comprising: an analog input module configured to receive user analog input related to animated character display and to normalize the user analog input, thereby creating normalized user analog input; a control state machine module configured to receive normalized user analog input from the analog input module and create a time-based state based on the received normalized analog input, the time-based state modeling an intent of the user with respect to the animated character, and an animation state machine module configured to receive the time-based state from the control state machine module and to create a list of animations and at least one blending percentage for combining the list of animations based on the time0based state, and providing the list of animations and at least one blending percentage to the animation display system. Issued May 4, 2004, assigned to Koei Co., Ltd.
A character group battle method in which a plurality of characters that are displayed in a three-dimensional virtual space form groups of friends and enemies that battle against one another, comprising the steps of: calculating the position of each of the characters in the three-dimensional virtual space; calculating the character number of the other one or more friend characters existing in a predetermined region about the character; and calculating at least one of an attack or a defense value respectively expressing at least one of an attack power or a defense strength of the character on the basis of the character number. Issued December 30, 2003, to Electronic Arts, Inc.
Electronic Arts has developed a way to negate the effects of technology advancing faster that software can be developed–a mechanism to provide episodic delivery of entertainment content to a user. EA apparently uses some sort of application module with episodic content technology (e.g., sold at stores, over the Internet, etc.). The application module contains an initial episode of the game and a technology shell to allow future episodes to be downloaded over the Internet and executed. As new technology is developed, the new technology can be incorporated into the technology shell, independent of the content development. While the patent describes a lot of these features, the (single) claim is a little elusive. It’s interesting, though, that with Xbox Live we are seeing more games providing episodic content delivery after the game’s initial launch. responsive to the current state of the user in the game, transmitting game-generated search results to the user. 2. The method of claim 1 wherein the search results are game-related responsive to the search request being game-related and the current state of the user indicating that the user is permitted to receive game-related search results. 5. The method of claim 1, wherein the current state information comprises a user action. 6. The method of claim 5 wherein the user action is calling a predefined telephone number. 7. The method of claim 5 wherein the user action is accessing a predetermined web site. 8. The method of claim 5 wherein the user action is requesting a specific search term. 9. The method of claim 1, wherein episodic content is stored within a third-party website that is content-related to the storyline, and the users are directed to the web-site to discover the episodic content. 10. The method of claim 9 wherein episodic content is placed on a third party web site for compensation related to user traffic to the web site related to users searching for the episodic content. 11. The method of claim 1, wherein an episode is made available responsive to determining whether the user has submitted payment, for the episode. Issued April 20, 2004, to Sony Computer Entertainment Inc. 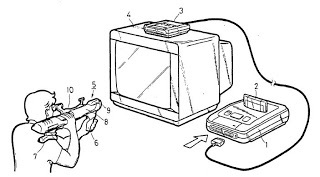 The ‘989 patent describes a portable electronic communication device with game software that simulates a virtual pet. The virtual pet is able to converse with a user who in turn is able to teach the pet new words. Attributes of the words are modified based upon the responses of a user to questions asked by the pet during conversation and stored in a database. For example, with reference to the figure above, the user might tell the pet that the word “Jane” is a “Human” (1 in the “Human” column) and not “Food” (0 in the column) and that the user really likes “Jane,” (with degree of 4 in the “Like” column). Next time, the friendly virtual pet may begin a conversation by saying something like “I just e-mailed Jane saying that you like her!” (after which the pet can learn a plethora of curses and swears from the user). This innovation may well give rise to various other incarnations, such as a virtual girlfriend that will only accept compliments, or a virtual gunner that will enlighten you with its knowledge of random subjects. a sentence output element for outputting a sentence generated by the sentence generator to display as a message to a user. animating the figure responsive to the choreography sequence. Issued August 30, 2005, to Nintendo of America, Inc.
c) controlling game play according to the sanity level of the game character, game play being controlled at least by varying game effects according to the game character sanity level.